The debate on sustainability is intoxicated by American and European lobbies that spread fake news in order to discriminate more efficient crops – like palm trees. Science proves these lobbies wrong. See our charts. 1. Why does the EU want to phase-out palm oil biofuel? They claim that palm oil biofuel is the devil and the main cause of deforestation. According to FAO’s Global Forest Resource Assessment 2015 conclusions, palm trees’ contribution to deforestation is estimated at around 5%, against much higher percentages reached by intensive livestock farming and the paper industry. The EU completely disregards the fact that the palm oil industry is the only supply chain that certifies its oil, capable of making it 100% sustainable. 2. Do you know that unlike fossil fuels, the combustion of palm oil biofuel does not increase the level of carbon dioxide in the atmosphere? Yes, that’s right. Palm oil biofuel is carbon neutral, merely returning carbon dioxide obtained earlier from the atmosphere through photosynthesis. 3. So instead of investing and promoting sustainable palm oil why do EU institutions want to boycott it? Easy answer: Lobbies. American companies would provide soy for biofuels. 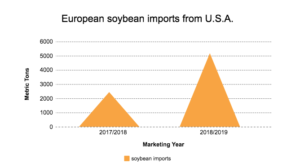 According to Bloomberg, soybean imports from the U.S. will increase from 39 percent—or 2,439 metric tons in the marketing year 2017-2018—to 75 percent, or 5,182 metric tons, in 2018-2019. At the same time, European sunflower oil and rapeseed lobbies are doing everything in their power (often with the help of NGOs) to blackmail and boycott the palm oil industry. It’s merely a political game. Pushing soy to European markets is one of the strategic goals of the Trump administration. 4. What will happen if this phase-out of palm oil biofuels would actually begin? 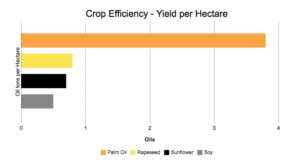 If an EU directive would indicate for a reduction of palm oil biofuels without changing the overall targets, biofuel not provided from palms would have to be provided from other vegetable oils. In this way, Malaysian and Indonesian farmers will be forced to migrate to less efficient crops (i.e. soy, sunflower, and rapeseed), causing even further deforestation. We could also let hundreds of thousands of Southeastern Asian and South-American farmers starve without a job. 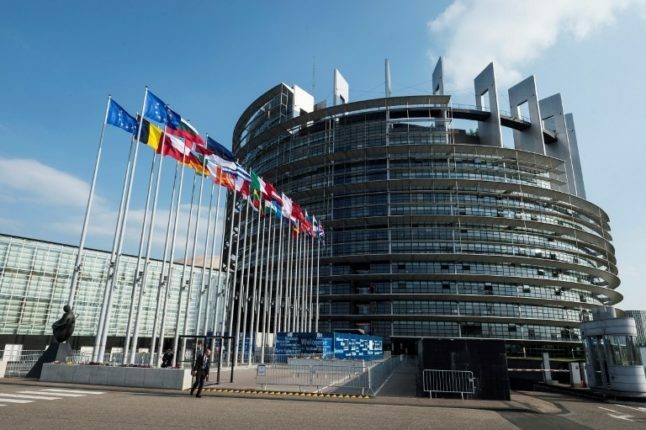 Does the EU want that or do they only want to help out soy and sunflower oil lobbies? They could simply invest, promote and incentivize the use of CARBON NEUTRAL sustainable palm oil biofuel. This, however, would be too straight-forward for our friends in Brussels.